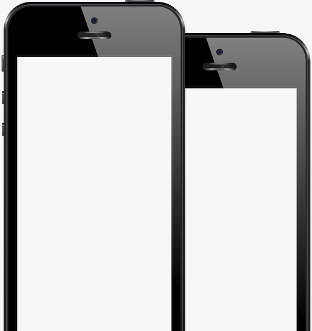 Is your fund or local ready to exploit the power of a mobile app? Know that you're getting to stakeholders, and within budget. Our benefit websites provide just the right combination of simplicity and up-to-date detail that your participants demand. Designed and reviewed by expert benefit consultants and actuaries, MultiEmployer­.com's BenefitTab™ summaries and other unique site features give users a view of their Plans unlike any other. MultiEmployer.com's industry acclaimed benefit sites are the complete reference for your Plans. Most of our clients' customer service staff use the site as their homepage enabling prompt, consistent, and accurate answers to member questions. Whether it be Social Media, Mobile Apps, Participant Self-Service, Document/Agenda Management, or Online Remittances, MultiEmployer.com is on top of the latest communication technology as it applies to your Plans. And we make sure we stay on top with new products and updates as the emerging technology evolves. The regulations governing information dispersal for multiemployer trusts are complex and demanding. Technology has conditioned us to expect information on demand, 24/7, 365 days a year. 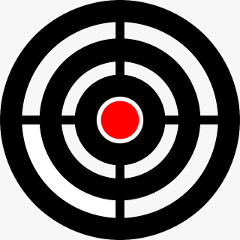 To deliver accurate information at the speed of expectations requires more than great web designers. Clarity in communication comes by design. Using the greater versatility of the web as a communications medium, MultiEmployer.com has pioneered an effective information architecture that communicates clearly but at the same time preserves the carefully crafted plan language, caveats, and disclaimers necessary for the legal protection of the trust fund. How the web can help you. 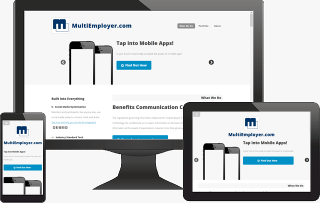 MultiEmployer.com designs an integrated web front-end for a variety of interactive self-service applications. Most administrative systems have now developed back-end capacities to service these transactions. Our front-end web applications are customized to integrate with your administrative system. We can work with your IT staff to create the back-end module. Making available simply a PDF of your SPD doesn't do much to improve your participants' understanding of their benefits. SPDs and Plan Documents should be HTML formatted, indexed for instant access, searchable, linkable, print-capable, and equipped with navigational buttons for random browsing. Make the most of your web presence. Beginning in 2002, DOL and IRS rules granted multiemployer plans an expansion of this safe harbor that, in short, allows any participant with Internet access to opt-in to receive almost all plan communications electronically. In fact, government agencies are encouraging eligible plans to adopt paperless plan communications and are accommodating such programs when issuing relevant regulations. The Document Warehouse is a secure central repository of all essential trust/plan documents accessible over the Internet. The warehouse can be updated/accessed by Plan staff, designated professionals, and Trustees. AgendaNow™ is a feature enabling trustees and plan professionals to download the entire Board meeting agenda package to their tablets or notebook computers with a single mouse-click. Paper employer remittances are costly and time-consuming for both Employers and Administrators. They are also fraught with the potential to introduce errors into the health plan eligibility and pension accruals of participants. Electronic reporting with electronic funds transfer is an obvious way to increase efficiency, improve accuracy, and decrease costs. Your Local website should be the future hub of all communications with members. Using our proprietary content manager software, you can maintain a professional website on our servers with minimal time and expense. You can update your website in real-time to keep up with events and changing needs. The Grievance Tracking Portal consolidates grievance reports, related documents, and notes, organizing them into an easy-to-use online, paperless - but print capable - online system that helps administrators keep an eye on deadlines, access important dates and documents with ease, as well as send and track case-specific communication. Smartphones/tablets are a "must have" technology. Your Plan will benefit by accommodating participants who rely on these devices as their primary sources for news and information. Be everywhere your participants are. Social Networking and Media sites like Twitter, Facebook, or YouTube are quickly becoming the primary means of communication among internet users. Their power is such that major corporations have launched effective marketing campaigns using only these social media sites to convey and gather information. See how it works for you. There is no better way to show your site's currency than by frequently adding new content to your front page. Plan information is routinely changed, but a benefits site necessarily possesses more static content (plan documents, SPDs, forms, etc.) than a business or corporation. Are your Spanish-speaking participants getting the message? If your population contains a large proportion of people whose primary language is Spanish, you need to make sure they can understand their benefit plans. MultiEmployer.com offers translation services for both print and web-communications.